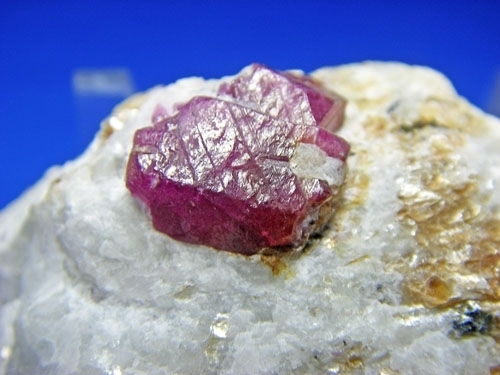 RUBY RED CRYSTALS FROM JEGDALEK, SOROBI DISTRICT, KABUL PROVINCE, AFGHANISTAN. 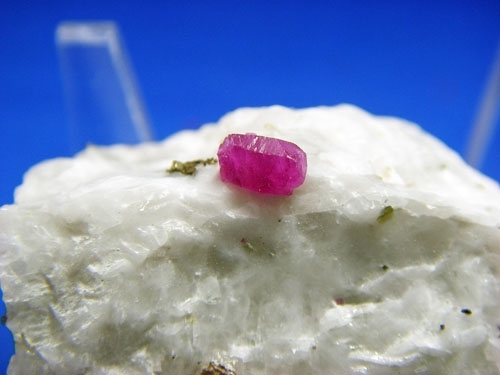 NICELY FORMED RUBY CORUNDUM CRYSTALS. 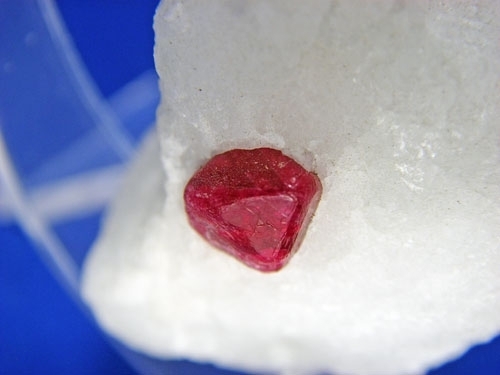 RED RUBY CRYSTAL ON WHITE QUARTZ! 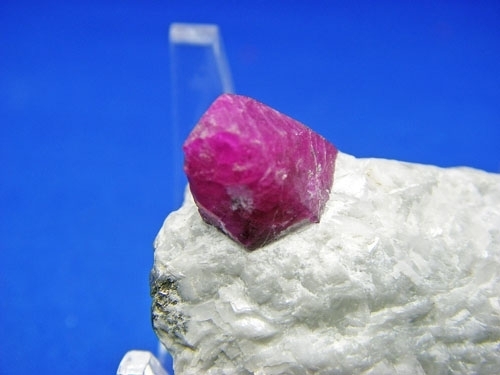 THIS IS RUBY CORUNDUM FROM JEGDALEK, SOROBI DISTRICT, KABUL PROVINCE, AFGHANISTAN. GREAT COLOR AND TERMINATION FACES. 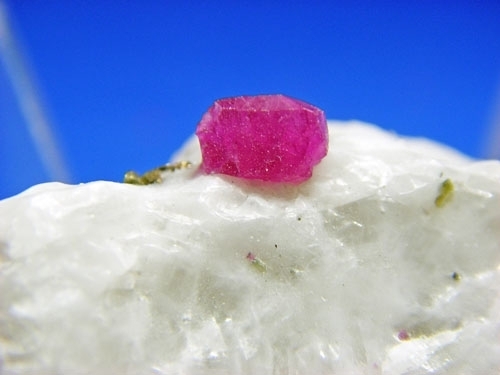 SPECIMEN SIZE IS 3" X 1 1/2" X 1" AND WEIGHS 2.2 OUNCES. CRYSTAL SIZE IS 1 CM X 3/4 CM. 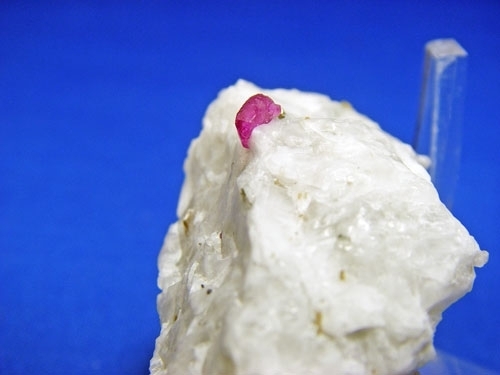 THIS RUBY RED CRYSTAL REALLY STANDS OUT ON THE WHITE QUARTZ! GREAT ADDITION TO YOUR COLLECTION. 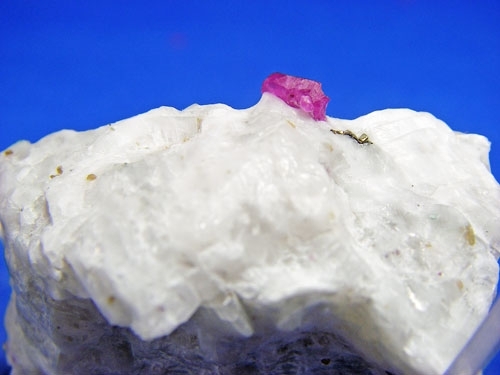 RED RUBY CRYSTAL ON WHITE QUARTZ WITH MICA! 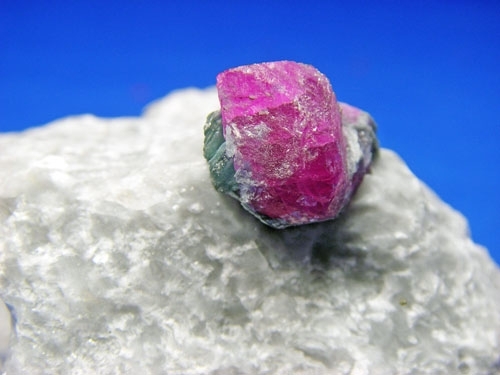 THIS IS RUBY CORUNDUM FROM JEGDALEK, SOROBI DISTRICT, KABUL PROVINCE, AFGHANISTAN. TWO CRYSTAL GROUPING. NICE COLOR AND TERMINATION FACES. 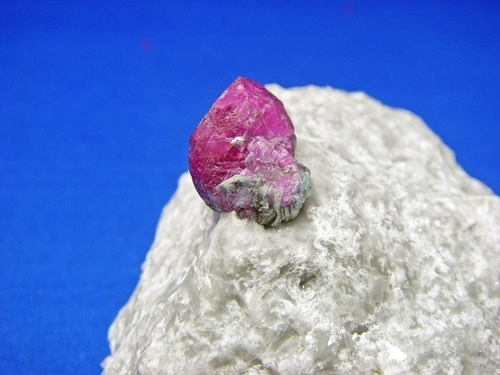 SPECIMEN SIZE IS 2 1/4" X 1 1/4" X 1" AND WEIGHS 2.81 OUNCES. MAIN CRYSTAL SIZE IS 1 1/4 CM X 1 CM. GREAT DISPLAY SPECIMEN FOR YOUR COLLECTION. 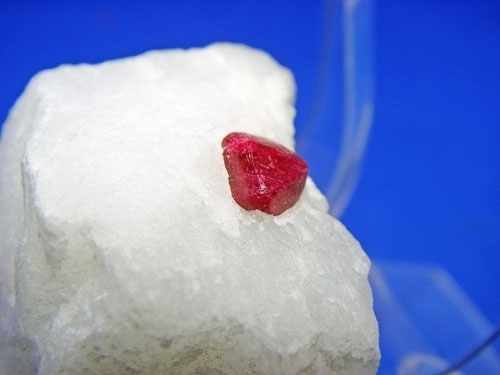 RED RUBY CRYSTAL ON WHITE QUARTZ! 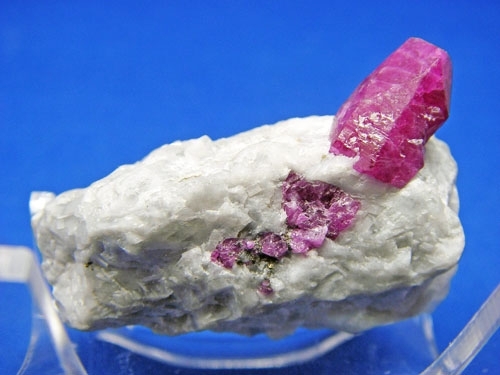 THIS IS RUBY CORUNDUM FROM JEGDALEK, SOROBI DISTRICT, KABUL PROVINCE, AFGHANISTAN. 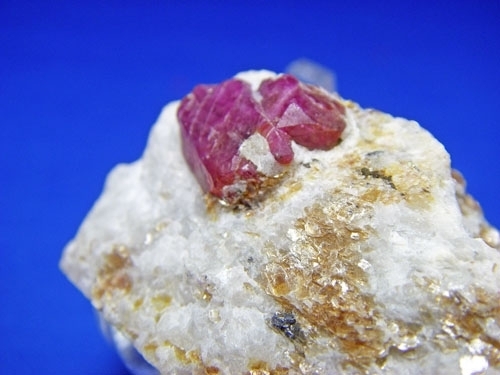 LARGE CRYSTAL WITH EXCELLENT RED COLOR AND TERMINATION FACES. 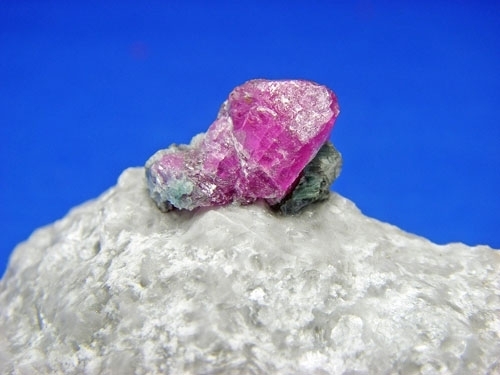 SPECIMEN SIZE IS 1 3/4" X 1" X 1 1/2" AND WEIGHS 1.17 OUNCES. CRYSTAL SIZE IS 1 1/2 CM X 1 CM. 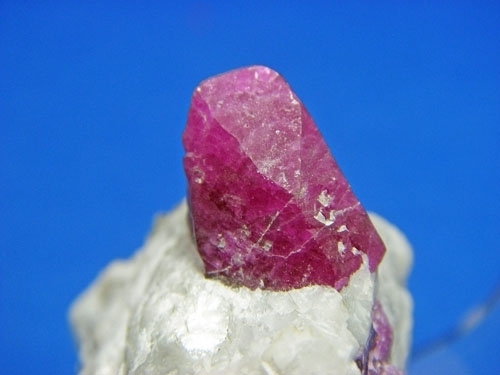 FANTASTIC RUBY CORUNDUM CRYSTAL FOR YOUR COLLECTION! CLEAR ACRYLIC STAND FOR SMALL AMMONITE HALVES, TEKTITES, COPPER SPECIMENS AND OTHER DISPLAYS. SIZE: 2 1/4 X 2 X 2 1/4 INCHES. 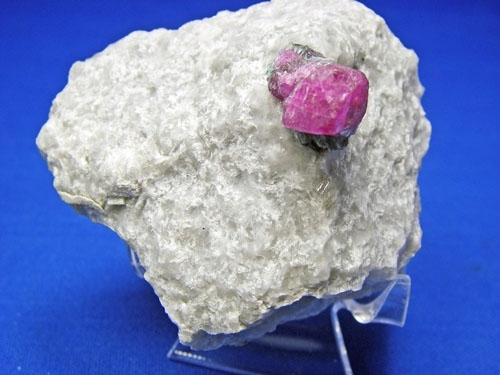 RED RUBY CRYSTAL ON GRAY QUARTZSITE! 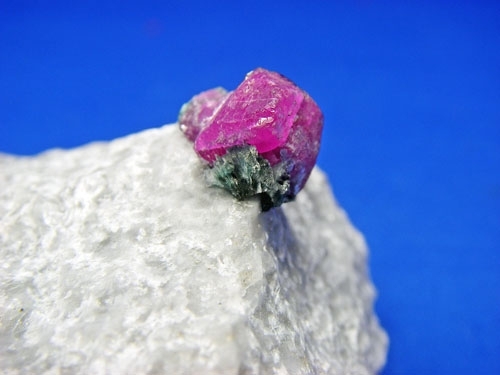 THIS IS RUBY CORUNDUM FROM JEGDALEK, SOROBI DISTRICT, KABUL PROVINCE, AFGHANISTAN. 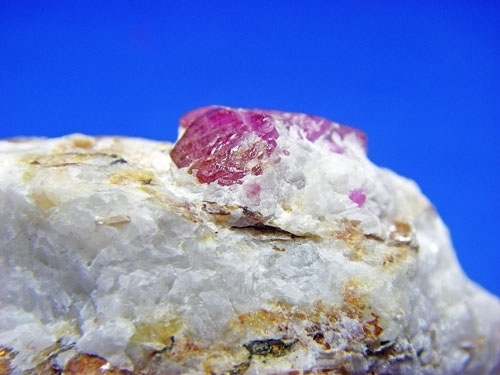 LARGE CRYSTAL WITH EXCELLENT RED COLOR AND TERMINATION FACES. 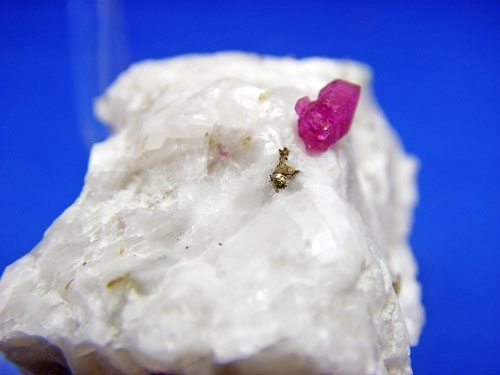 SPECIMEN SIZE IS 2 1/2" X 2 1/4" X 1 1/2" AND WEIGHS 5 OUNCES. CRYSTAL SIZE IS 1 1/2 CM X 1 CM. A REAL EYE CATCHER FOR YOUR COLLECTION! 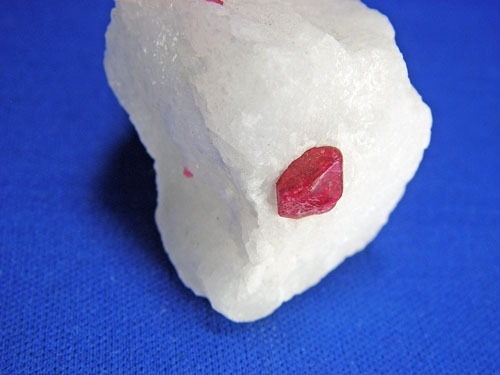 RED RUBY CRYSTAL ON WHITE QUARTZ! 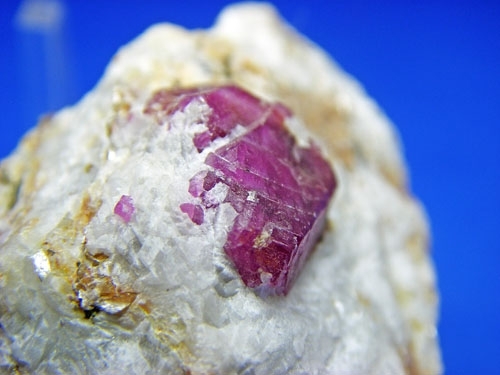 THIS IS RUBY CORUNDUM FROM JEGDALEK, SOROBI DISTRICT, KABUL PROVINCE, AFGHANISTAN. 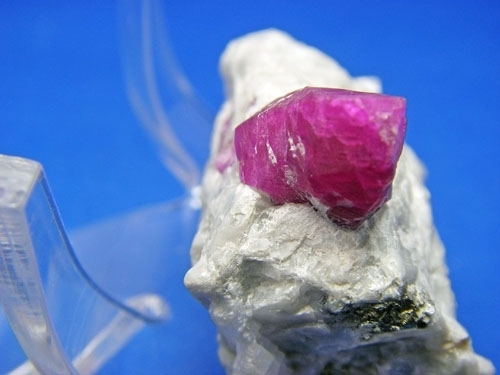 TABULAR, PETITE CRYSTAL WITH EXCELLENT RED COLOR AND TERMINATION FACES. 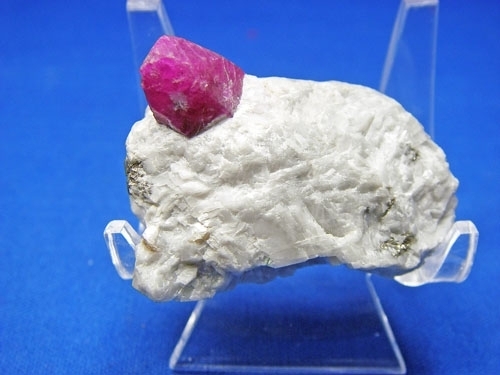 SPECIMEN SIZE IS 1 3/4" X 1" X 3/4" AND WEIGHS 1.27 OUNCES. CRYSTAL SIZE IS 1/2 CM X 1/4 CM. 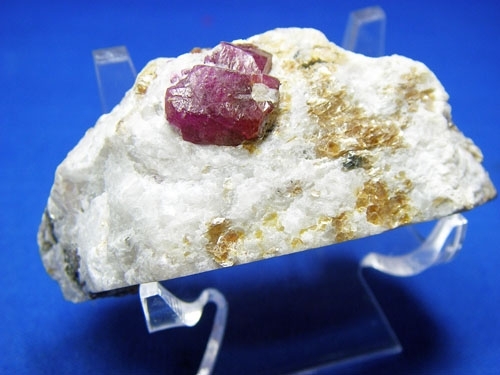 PRETTY RUBY SPECIMEN FOR YOUR COLLECTION!